Salvation And Survival: What Has Happened To Dignity? What Has Happened To Dignity? The official definition of Dignity is as follows: the state or quality of being worthy of honor or respect; a sense of pride in oneself; self-respect; a high or honorable rank or position. Twice this week, I was astonished at the lack of dignity exhibited in our society. 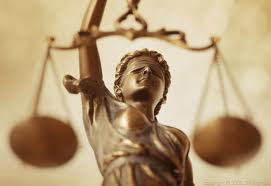 The first instance occurred at the revelation that Jasmine Rand, the attorney for Trayvon Martin's family, feels she has "a greater duty beyond being an attorney, and that’s to be a social engineer.” So let me ask this question .... what has happened to the dignity of the Court? Do we no longer hold the Court in a position of honor? Do we no longer have to respect a jury's decision just because we don't agree with it? Listen to Ms. Rand's argument for her position: "When the law doesn’t get it right, I believe that we have the right to peacefully, and morally, conscientiously object to the decision of the jury.” Once again, I posit .... if you don't like the decision, then you can simply say the jury is wrong? Where is the justice in that?!? Didn't both sides present their case before a jury of their peers (that they selected!) and agree to abide by that jury's decision? So if you don't get the answer you want, you should now be allowed to say, "that didn't count?" Where is the respect for the judicial system? Is it perfect? Absolutely not! But there has to be a set of rules that we all agree to, or we will be reduced to our primal instincts: punishment based on emotions, rather than reason; judgments based on bias, rather than impartiality. And finally, Ms. Rand feels that sometimes "society needs a little push", and that her role as social engineer/attorney is to apparently provide that force when she arbitrarily decides it is needed.... all for the cause of "civil rights". Once again, that reasoning seems to declare its own moral basis; and not necessarily to be imputed to the masses. When an attorney uses personal discretion to overrule the Court, then there is no respect for the process. The second display of lack of dignity was portrayed on the cover of Rolling Stone magazine. There was a time when journalism was a meaningful, respected profession; a critically important one in which we could discern the state of our culture. 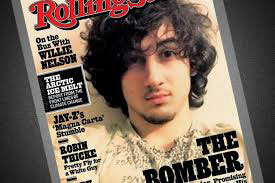 And I'm afraid that Rolling Stone's decision to portray Boston Marathon terrorist suspect Dzhokhar Tsarnaev on its cover, is an indictment as to how far the profession will go to sacrifice dignity for dollars. As far as I am concerned, there is no reasonable excuse for depicting Tsarnaev as worthy as any "rock star" the magazine has featured in its long and illustrious past. They can deny that this is what they've done, all they want, but it is clear that he is pictured in the same light as John Lennon or Bruce Springsteen ever was. To give this suspected bomber a place of honor on their cover is to spit in the faces of the people he allegedly killed, and the over 300 who suffered heinous injuries. And that is exactly what a cover photo is designed to do .... to honor the image presented on it. Since when does terror, murder and hate for America deserve to be recognized and celebrated? This modern form of journalism is responsible for the fan clubs for this evil person among the impressionable youth of our nation. How disgusting! Rolling Stone should be ashamed of this blatant grab for notoriety and profit. The lack of respect for the victim's families shows that this rag mag no longer deserves a place in the notable ranks of journalistic expression. Psalm 1:1-2 "Blessed is the man who walks not in the counsel of the wicked, nor stands in the way of sinners, nor sits in the seat of scoffers; but his delight is in the law of the Lord, and on his law he meditates day and night. " Ah, our wonderful progressive liberals in America. Don't you know that they know better than you, have purer motivation than you, and can do everything better for you? You only need to just change your mind, give in to what they want, and live the life they decide is best for you (and be ready to die when they tell you it's in society's best interest). Sounds awfully similar to another creed: Convert, submit, or die. Doesn't it? Both philosophies are antithetical to individual dignity, freedom and liberty. And to the free worship of God. I wonder how the good progressives in San Francisco and LA are rationalizing the violence and lawlessness in their dis-armed, bankrupt and morally corrupt cities now that the President has essentially green-lighted anybody who wants to "express" their anger on "Crackers" (certainly a non-racial term if you listen to their logic) who have somehow refused to bow down to tyranny? Perhaps riots and thugs are just that "little push" Ms. Rand wants. My only caution is an analogy to Newton's Third Law of Motion: for every force one body exerts on a second, there will be an equal and opposite reaction from the second back to the first. With all the pushing from the Left, they shouldn't be surprised when the Right pushes back. PS Take a look at Michael Yon's on-line magazine post from 21 July. This man had it right in Iraq and Afghanistan YEARS before our political or military leadership, and Yon always hit the mark from the first shot. It is sobering to me that he now talks about America. Michael Yon's article is unemotional and sensible -- something that the MSM has NOT been in this travesty. And, yes, it is indeed sad that his portrayal of America is so unflattering and true. Will we ever get back on the path of who we were meant to be? Thanks for pointing us to this great article!